This 6 x 10 Superior Shed was installed for use as a storage space and includes delivery and installation by our team of specialist installers. This shed, and all of our other garden buildings, are hand-crafted by a team of experts at our factory HQ in Norfolk. The interior included a built-in workbench and the exterior planed shiplap tongue and groove cladding was coated in our custom Valtti paint in Lizard green, which was complemented with a contrasting Ivory paint on the windows and door. 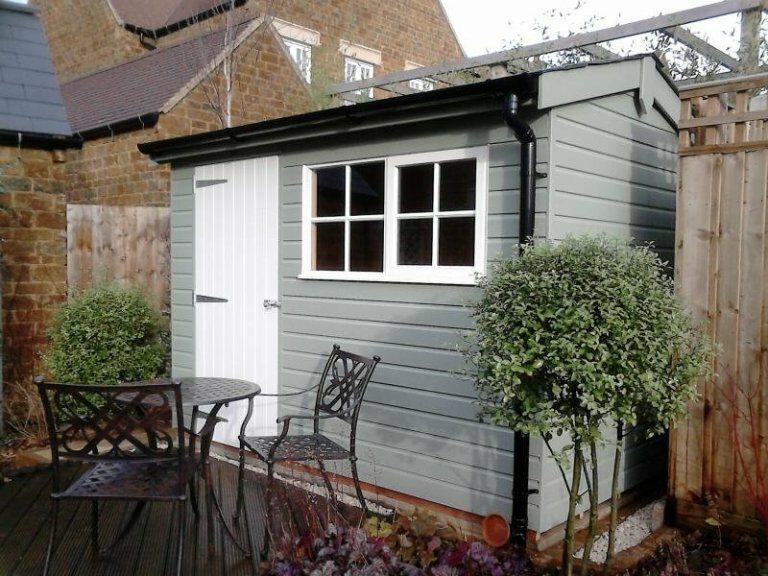 As you can see, this shed fits perfectly in the space the customer has allocated for it - a charming seating area has been added outside to provide a point of interest for the garden and draw focus to the building. 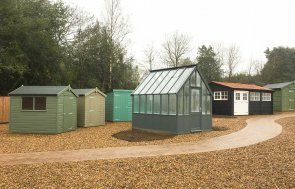 You can view our complete range of garden sheds, summerhouses, garden studios, garden rooms, timber garages or our range of hand-crafted Victoria greenhouses at one of our seven UK show sites. Our show centres display a variety of buildings from the different ranges available so you can experience the luxury of the brand we're offering. On hand will be plenty of garden building experts who will be happy to assist you in any way they can. 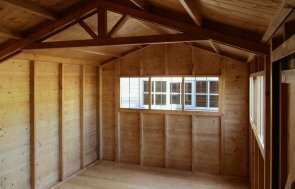 Are you looking for a new shed to meet your storage requirements? 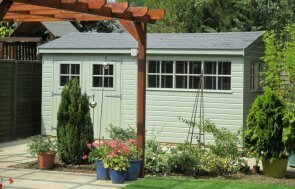 Explore our wide range of garden sheds and find the one for you by clicking the link below.